Not exactly sure what you need? Step 1: How much paint? Perfect for a smaller project like a chair or small side table. Usually more than enough to complete a decent size piece of furniture. 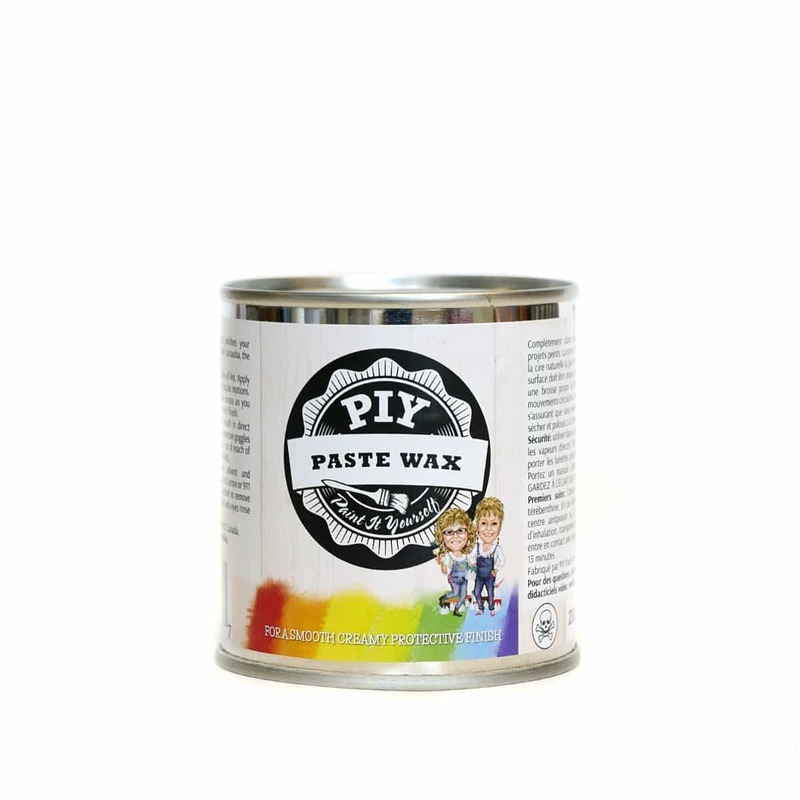 Please have a look at all our colours available. Remember the name of that colour, so you can select it later on in the store. 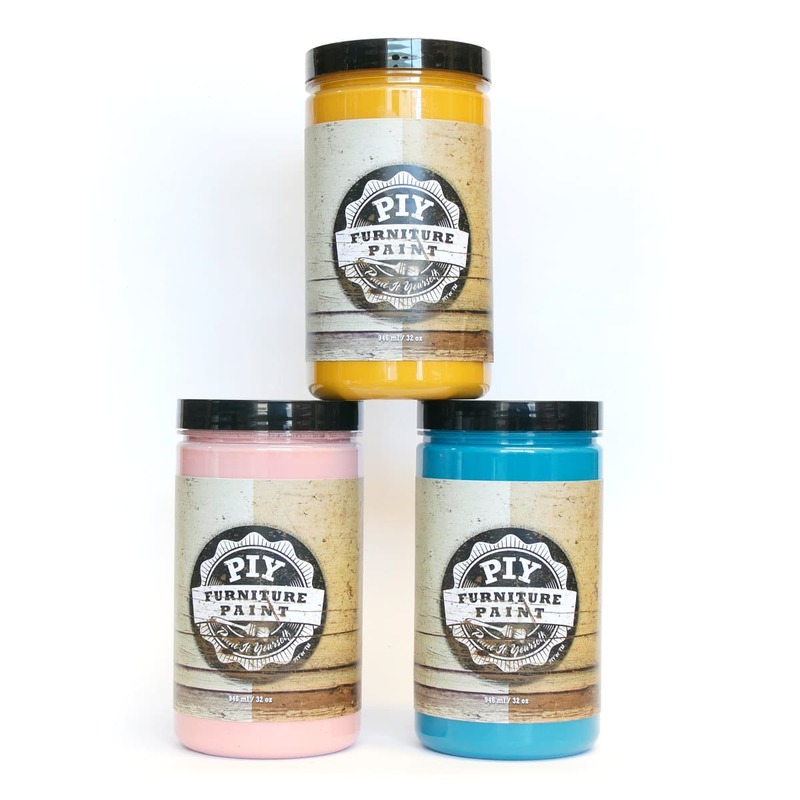 You can create your own chalk style paint with the PIY Paint Chalk Powder. 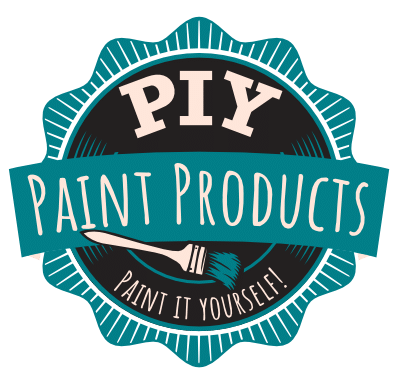 It turns any water based or latex paint into rich, creamy PIY paint! 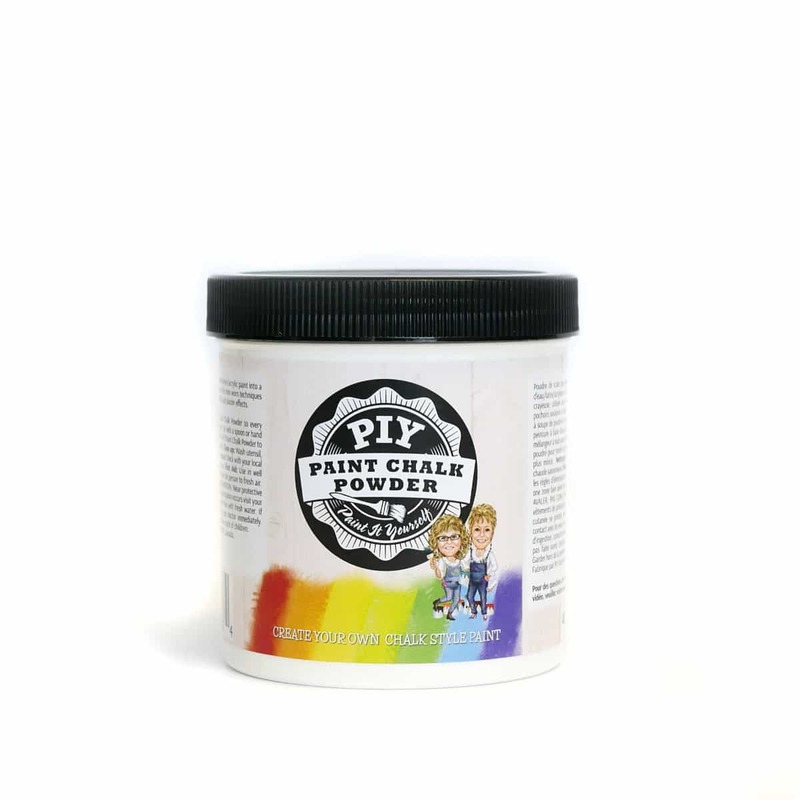 Learn more about the PIY Paint Chalk Powder here. Step 3: How to seal it? 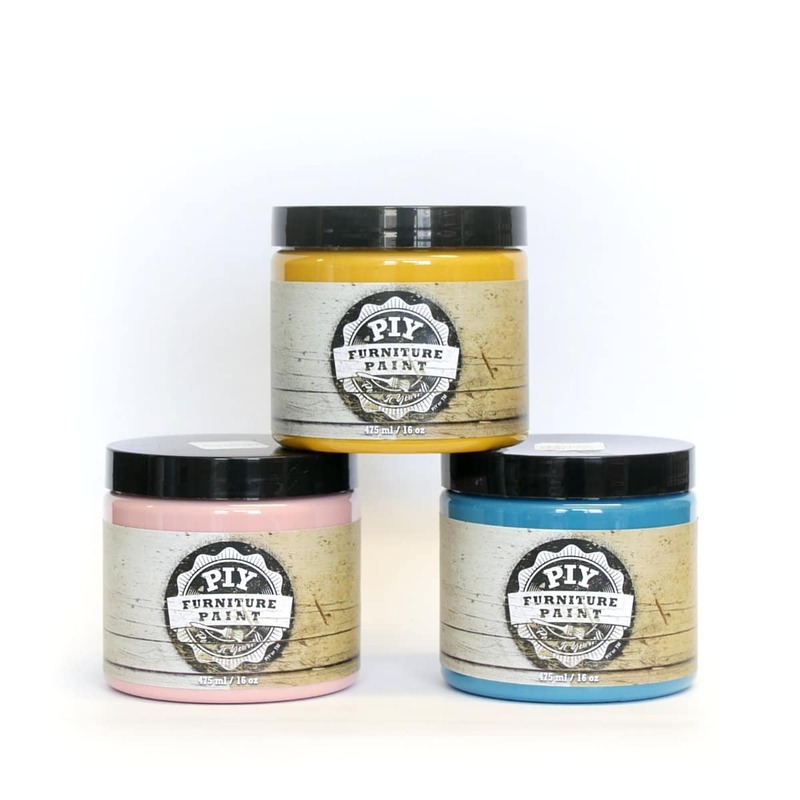 Adding the PIY Paste Wax will keep the look of your chalk style paint. To have it shining, make sure to buff it up after. Using our Liquid Sealer will give you that glossy look. 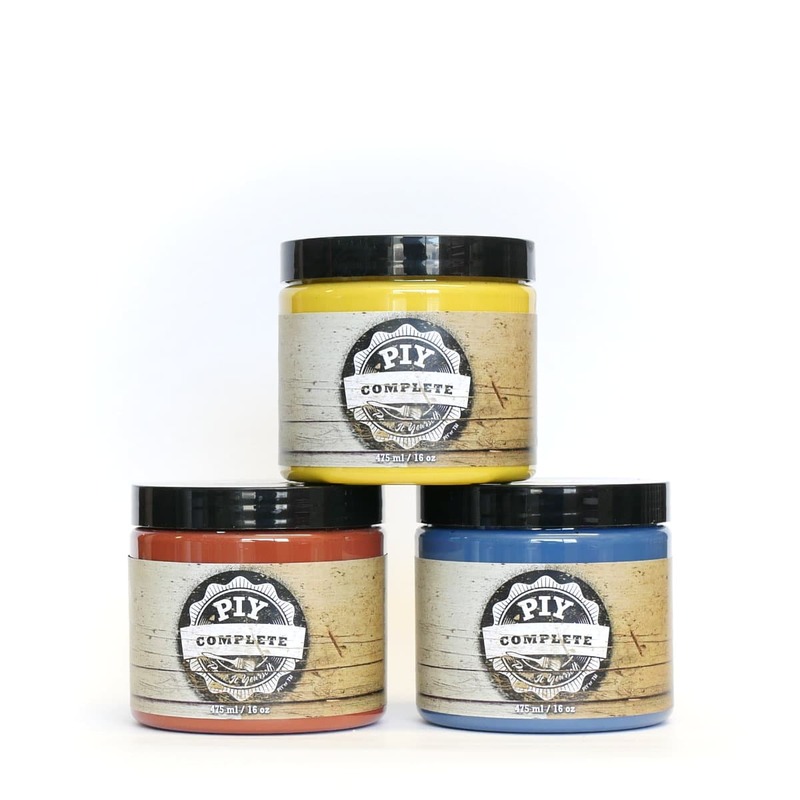 Alternatively, you can use our PIY Complete paint. 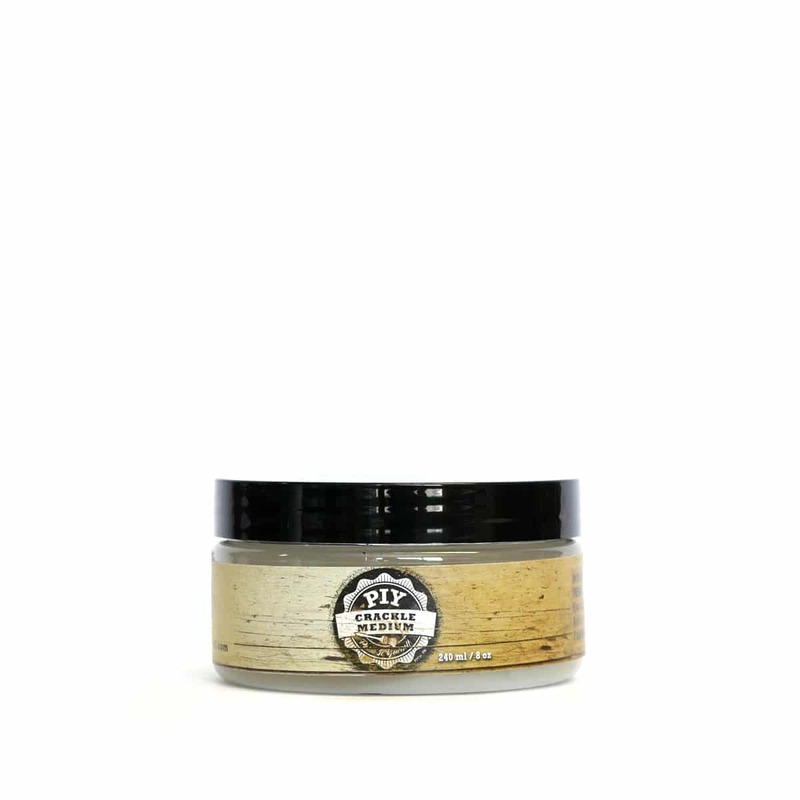 It has liquid sealer built in, so you don’t have to worry about protecting your piece. 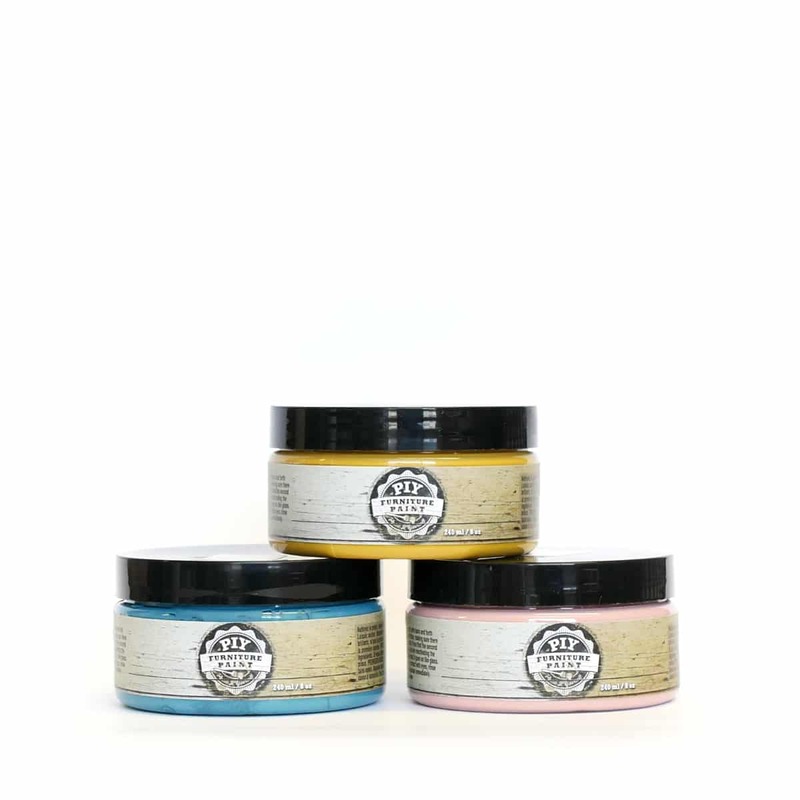 Ideal for kitchen cabinets! Step 4: Is there more? 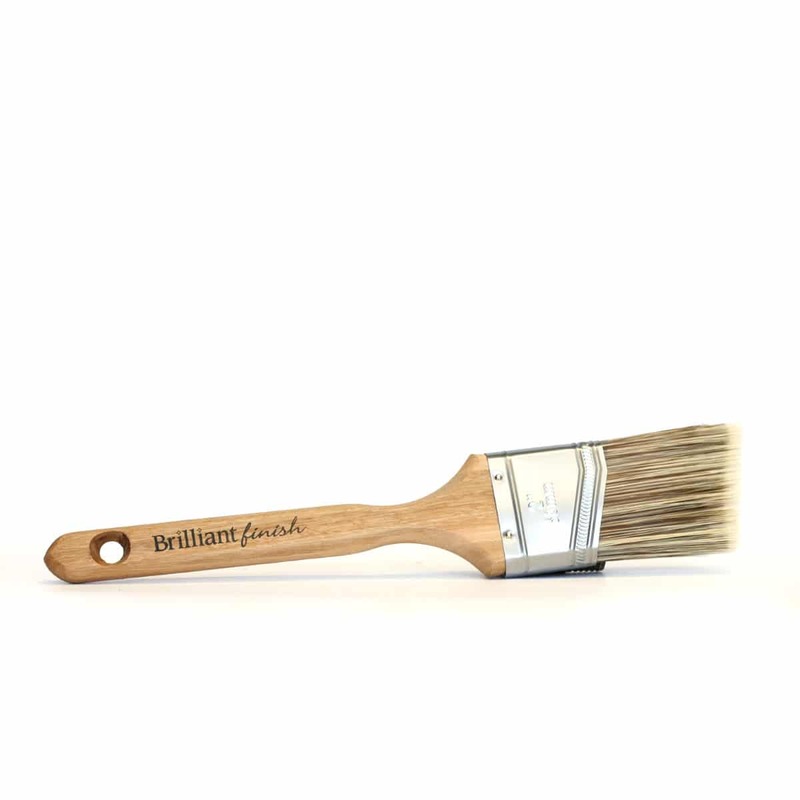 When adding the PIY Crackle Medium before you cover your piece with paint, it will ‘crack’ the paint over time, giving your piece a very aged look. You can add a transfer to customize your piece. All you need to do is print your image mirrored using a laser printer. 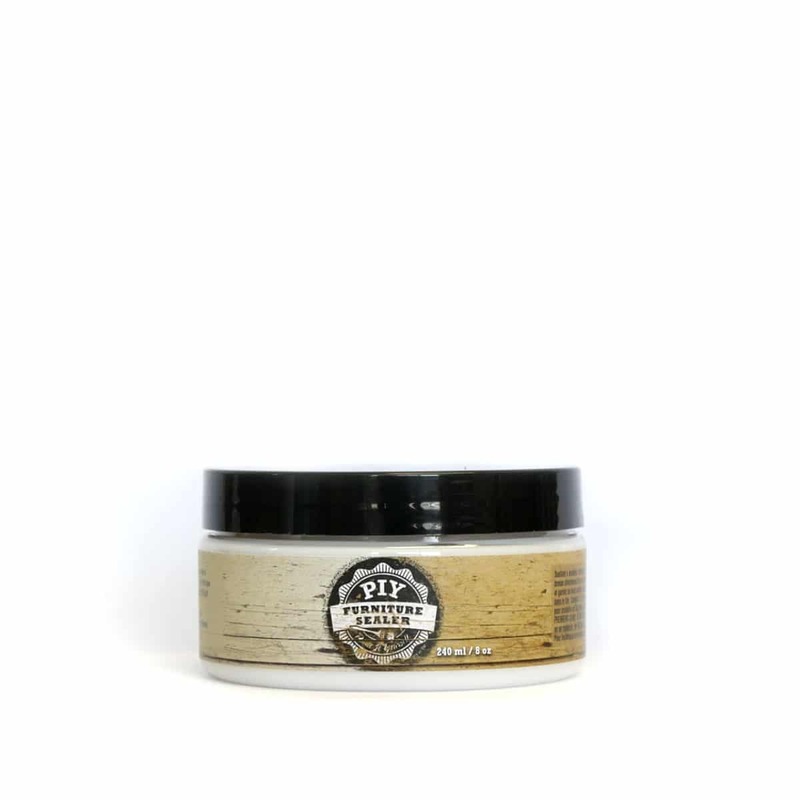 Then you can transfer it using the PIY Transfer Gel. Step 5: Need a brush? 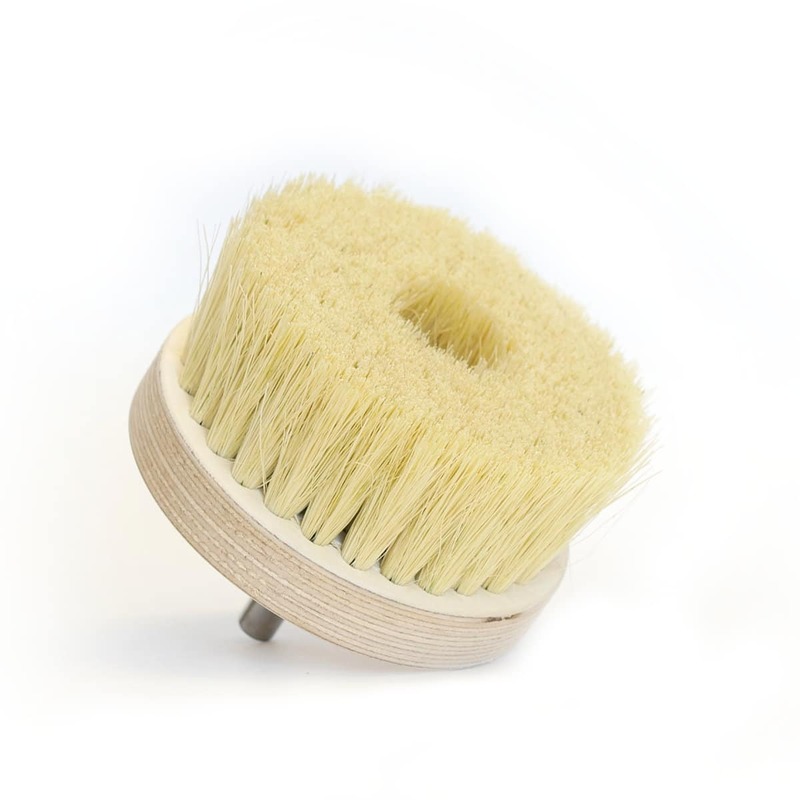 This buffer brush can be attached to your drill to buff your piece to the max.